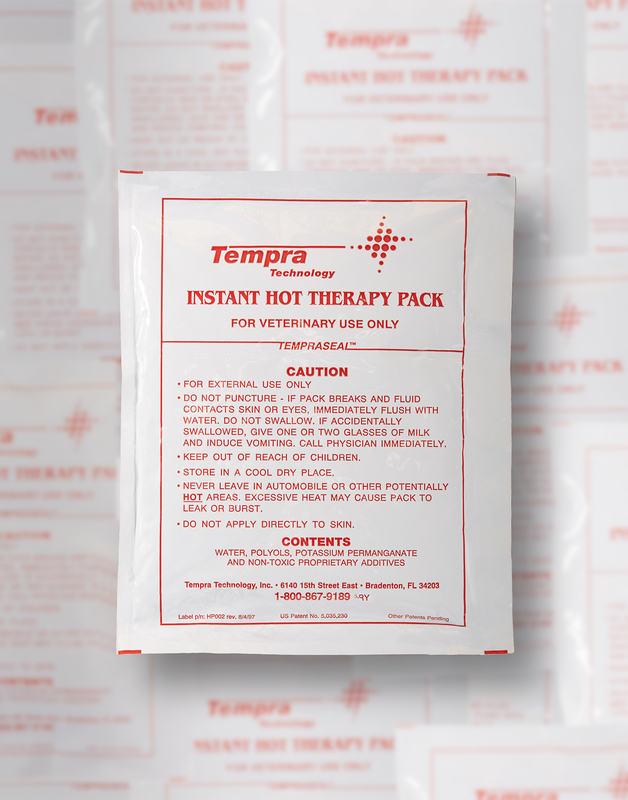 Tempra Instant Gelling Hot Therapy Packs achieve 140°F or 170°F depending upon your specific needs and provide heat for 60-90 minutes. These temperatures and duration have never before been achievable. Used with a moistened Tempra Wrap, the pack functions like a portable hydrocollator©. The gelling packs conform to the body contours to provide uniform heat distribution. The patented TempraSeal™ makes the packs very user-friendly and provides for a longer shelf life than standard “bag-in-bag” products. Tempra Wraps are constructed from a durable outer shell, beneath which is a layer of delsolite (insulation) to direct cold or heat inward to where the therapy is required. Inside the wraps are the pack compartments, secured by Velcro™. The inner layers of the wraps are terry cloth to hold moisture, which produces moist heat and conducts both hot and cold. Tempra Wraps are available to hold one, two, and four therapy packs. Also available are cervical and single pack wraps, both with extended elastic straps allowing versatility to apply therapy to neck, torso, knees, and shoulders. Tempra wraps are the solution for many human and veterinary applications.